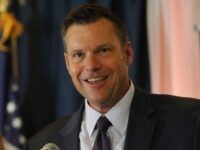 Former Kansas Secretary of State Kris Kobach says President Trump can stop mass illegal immigration and asylum fraud, as well as boost the American economy, by unilaterally ending all remittances to Mexico. 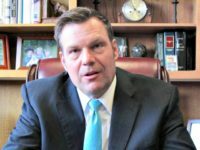 Former Kansas Secretary of State Kris Kobach says that while the Conservative Political Action Conference (CPAC) has focused largely on other issues, about 1,800 miles of the United States-Mexico border still needs to be secured and calling immigration the “number one issue” facing the nation. 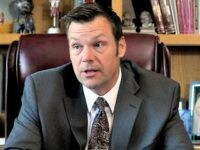 Kansas Secretary of State Kris Kobach says only a wall can stop illegal immigration, while promises of “border security” with “drones and sensors” merely facilitate crossings at the United States-Mexico border. 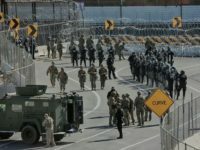 Kansas Secretary of State Kris Kobach says in the midst of a caravan of 7,000 to 10,000 Central American migrants arriving at the U.S.-Mexico border, the Republican-controlled Congress should immediately fund a border wall and the Department of Homeland Security (DHS) must enlist police to aid U.S. Border Patrol. Pro-American immigration reformers are petitioning the White House to request that President Trump replace current Department of Homeland Security (DHS) Secretary Kirstjen Nielsen with Kansas Secretary of State Kris Kobach. 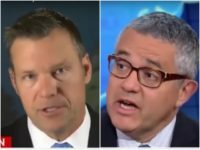 Kansas Secretary of State and gubernatorial candidate Kris Kobach slammed CNN’s Jeffrey Toobin after being attacked for supporting voter identification laws. In the final week of his run for Kansas governor, Secretary of State Kris Kobach is touting his education agenda, which centers on the classroom rather than administrators. 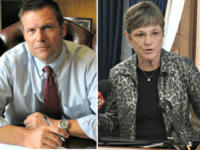 The latest ad from Kansas Secretary of State and gubernatorial candidate Kris Kobach calls out his Democrat opponent, Laura Kelly, for her record of supporting illegal immigration and sanctuary cities. 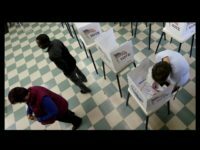 Kansas Secretary of State and gubernatorial candidate Kris Kobach says the GOP is the “only party left” in the 2018 midterm elections interested in halting a 7,000-strong migrant caravan headed to the United States-Mexico border. 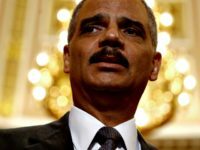 Former Attorney General and Chairman of the National Democratic Redistricting Committee, Eric Holder, is vowing to “litigate to stop” President Trump from counting United States citizens on the 2020 Census. 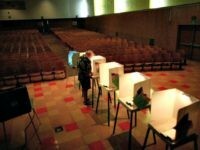 Kansas Secretary of State and ally of President Trump’s brand of populist conservatism, Kris Kobach, is leading in his race for governor against the state’s establishment Republican incumbent Jeff Coyler. 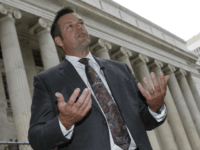 Kansas Secretary of State and leading gubernatorial candidate Kris Kobach has charged through on his fight to defend the state’s voter proof of citizenship law in a case that will likely set precedent for the country. 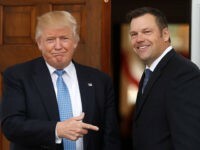 Kansas Secretary of State and gubernatorial candidate Kris Kobach has sent a letter urging President Trump’s administration to put a question asking United States residents if they are citizens back on the 2020 Census. 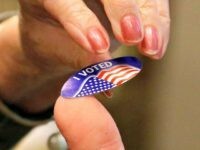 Kansas Secretary of State and ally to President Trump, Kris Kobach, has quickly consolidated conservative support in his bid to unseat establishment Gov. Jeff Coyler. 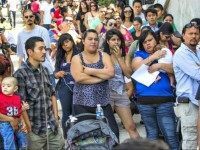 The White House has canceled their planned meeting with lawmakers to roll out their immigration “framework” that gives U.S. citizenship to at least 1.8 million illegal aliens, as Senate Minority Leader Chuck Schumer demands more concessions from the administration. 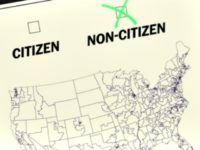 Pro-American immigration reformers are vowing to help “defeat” a plan by White House advisers to give U.S. citizenship to millions of illegal aliens. 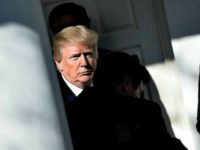 A White House expansive amnesty plan crafted by top administration officials is the “beginning of the end” of a Republican majority in the House, a House Republican reportedly told the media. 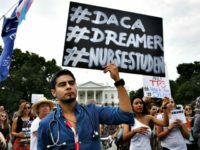 Details of a White House plan revealed on Thursday expands the number of illegal aliens who would be eligible for a pathway to U.S. citizenship far beyond the nearly 800,000 illegal aliens enrolled in the President Obama-created Deferred Action for Childhood Arrivals (DACA) program. 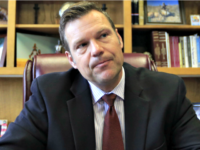 Kansas Secretary of State and gubernatorial candidate Kris Kobach has filed two more criminal complaints against individuals he says committed voter fraud during the 2016 general election. 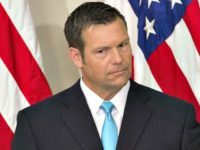 Kansas Secretary of State and gubernatorial candidate Kris Kobach says the Presidential Advisory Commission on Election Integrity will be “handed off” to the Department of Homeland Security (DHS) to “more effectively” investigate voter fraud without being “stonewalled” by Democrats. Kansas Secretary of State and candidate for governor Kris Kobach (R) blasted “open borders liberals” for their defense of sanctuary cities which he says cost 32-year-old Kate Steinle her life following the acquittal of her illegal alien killer who caused her death in 2015 in sanctuary city San Francisco, California. 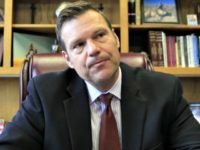 Kansas Secretary of State and candidate for governor Kris Kobach says President Donald Trump’s administration has failed a “big test” on their pro-American immigration agenda by allowing 59,000 migrant Haitian nationals to stay for another 18 months. 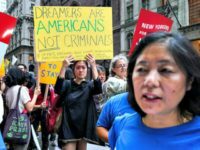 Kansas Secretary of State and candidate for governor Kris Kobach says Senate Majority Leader Mitch McConnell’s plan to compromise by giving amnesty to upwards of 3.3 million illegal aliens – who are shielded or eligible by an Obama-created program – would be “the worst possible thing” he could do. 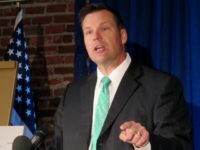 Kansas Secretary of State and candidate for governor Kris Kobach says it’s “shocking” that amnesty for nearly 800,000 illegal aliens shielded from deportation by an Obama-created program is even being discussed in President Trump’s administration. Kansas Secretary of State Kris Kobach says American workers “would get the raw end” of two amnesty plans being pushed by House Speaker Paul Ryan and a group of Senate Republicans. 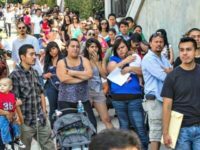 Illegal aliens protected by an Obama-created temporary amnesty program are receiving job opportunities at a higher rate than unemployed Americans, a report by the Economist reveals. 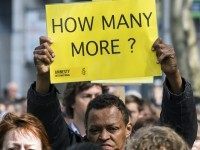 A potential plan by President Trump’s administration to trade amnesty for nearly 800,000 illegal aliens for tax cuts “is the ultimate bad deal-making,” Kansas Secretary of State Kris Kobach told Breitbart News exclusively Tuesday evening. 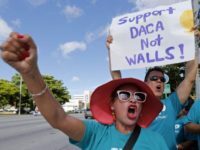 With President Donald Trump expected to end DACA for more than 800,000 DREAMers, two special interest groups will take a major hit: the open borders lobby and corporate interests. 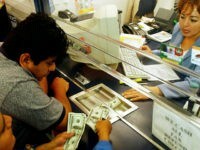 Twenty-nine Kansas government employees have been charged with bribery and other crimes in connection with providing fake drivers licenses to undocumented workers. A retired Federal Bureau of Investigation (FBI) agent told 41 KSHB Action News that issuing fake licenses could lead to a wide range of fraud and other criminal activity, including terrorist activity. The undocumented workers allegedly paid $2,500 to obtain these fake drivers licenses.